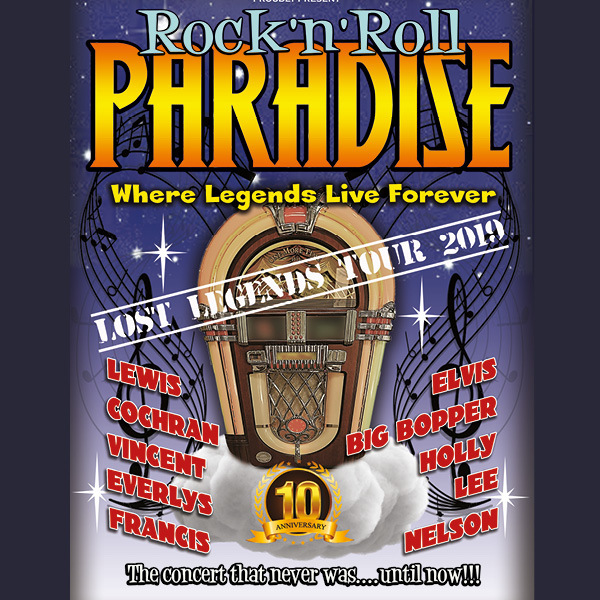 Rock n Roll Paradise returns in 2019 celebrating their 10th year on the road with the “Lost Legends” 10th Anniversary Tour. The show continues to grow and to change, bringing to the stage an amazing number of tributes to the legends of rock and roll over the years. Backed by the dynamic Paradise Band, among the many legends they pay tribute to along the way are Buddy Holly, Gene Vincent, Jerry Lee Lewis, the Big Bopper, Eddie Cochran, Ricky Nelson, Connie Francis, Brenda Lee, Everly Brothers – and the King himself, Elvis. If you’re ready to rock and roll with the best show on the road, Paradise is on its way!